About this vedio:-Operate daily tasks at ease. Our target is chicken dinner with #SuperFast Realme 3! No Lag, No drop, No heating! 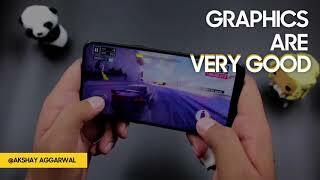 Now enjoy superior graphics and fluid gaming experience on Realme 3 powered by the only 12nm Helio P70 AI processor. With massive 4230mAh battery, low power consumption processor and AI Power Master system with Hyper Boost technology, you can play longer and stronger than ever before. A New segment leader with 210,000+ units sold on 12th March. We make extraordinary smartphones, for the young and for the unique.